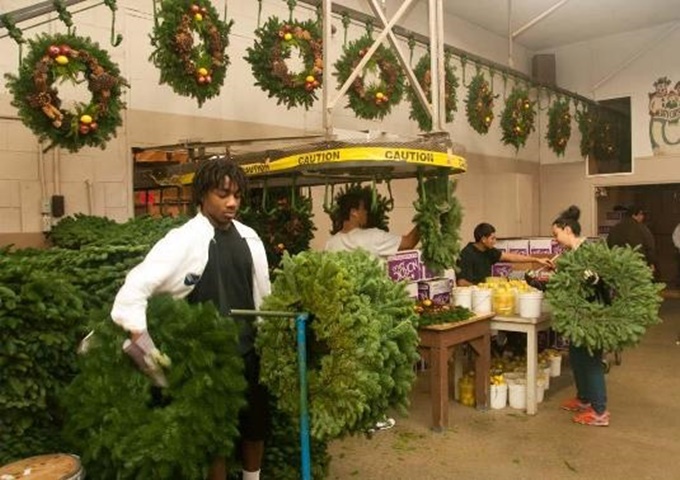 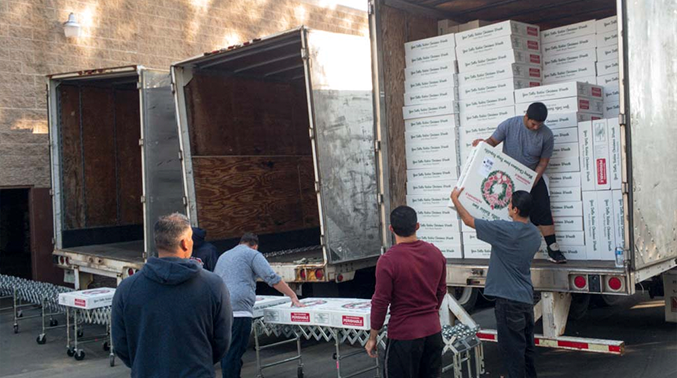 Della Robbia wreaths are produced at Boys Republic through a work experience program that teaches disadvantaged students the value of honest labor, while helping them also learn good work habits. 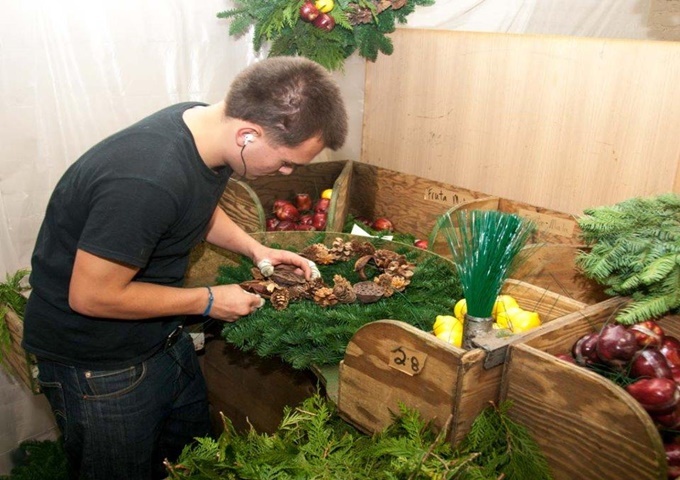 From gathering sorting and preparing seed pods to fastening them to wreath boughs and, finally, to shipping the finished Della Robbia, students experience the stress of adult responsibility and the satisfaction of having earned part of their own way. 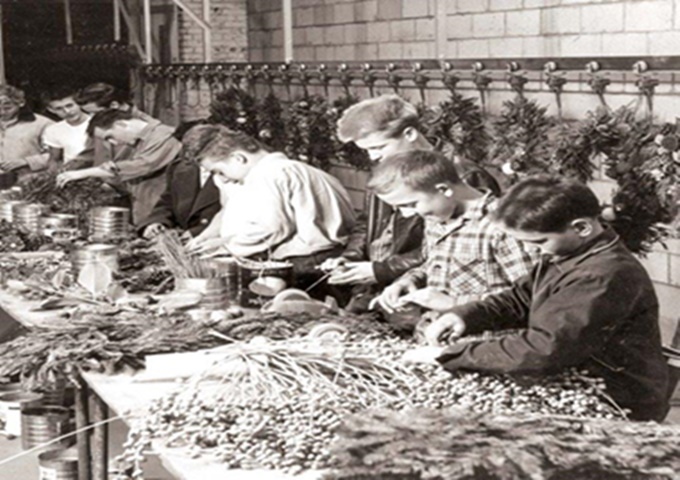 POD BARN; Seed pods and pine cones are stored in burlap sacks in Boys Republic’s “pod barn,” a 1920’s gymnasium which has been converted to a wreath production facility.